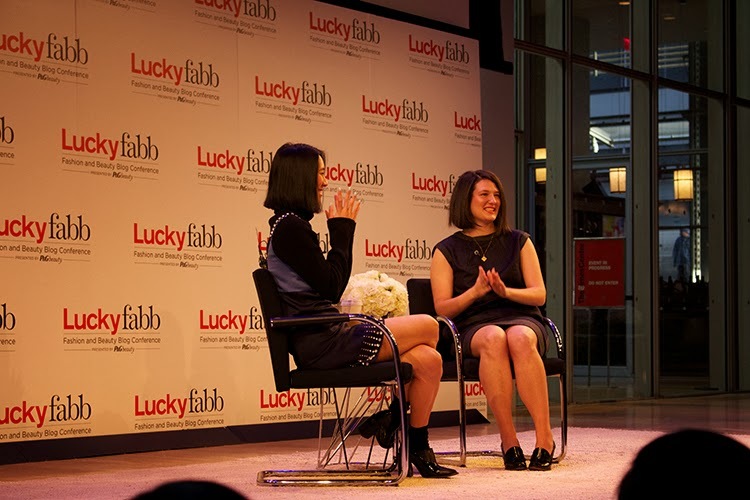 Eva Chen talking with the amazing Lauren Sherman now of Fashionista ! Verena chatting with my boo Gabi Fresh ! Eva talking with Kate Bosworth ..
Eva talking with Eva Mendes .. 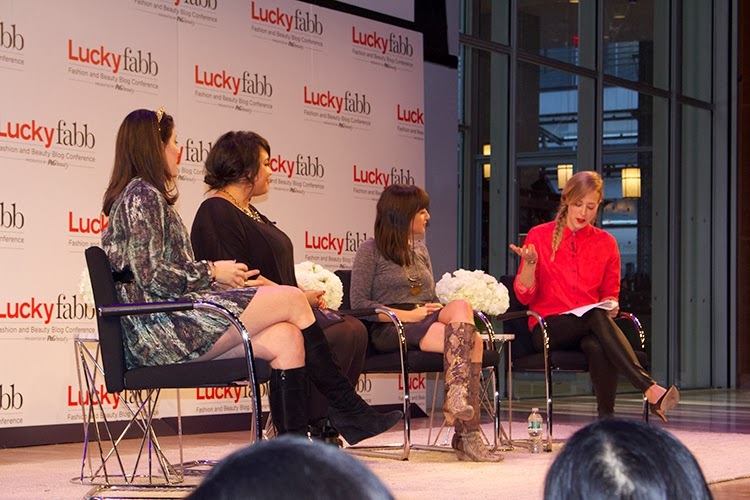 The first day of Lucky Magazine's Fashion and Beauty Conference was great as usual ! It was awesome getting to see all of my fellow blogger babes and meeting some new ones. For my outfit I wanted to go with something bold and unexpected, definitely has a reinterpreted school girl vibe. When I came across this vintage green blouse at a thrift shop in Burbank I knew that it was for sure going to be a part of my FABB outfit. 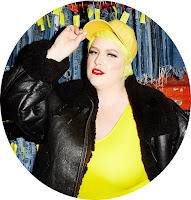 Click through to shop similar outfits here !